Truck and other commercial vehicle collisions can result in fatal passenger accidents, catastrophic injuries, and significant damages to families. It is therefore important for businesses to make sure that their company vehicles, especially, large commercial vehicles are driven by experienced and well trained drivers that do not have histories of reckless and unsafe driving, DWI accidents, fatal accidents, drinking & driving, or driving under the influence. For a free evaluation of your potential commercial vehicle accident law suit or truck wreck law suit by a Texas Commercial Vehicle Collision and Interstate Trucking Accident Lawyer, please feel free to use our online submission form or send an e-mail message to Interstate Truck and Commercial Vehicle Accident attorney, Jason S. Coomer. Please include your name and contact information, the date of the accident, location of the commercial vehicle accident, the names of the persons in the accidents, any injuries suffered, and a brief description of how the commercial vehicle accident occurred. Unfortunately, with large trucks driving on our roads and highways comes the potential of catastrophic damages. Untrained, overworked, or inexperienced drivers all too often lose control of their vehicles causing them to jackknife, overturn, or collide with passenger vehicles. Many of these drivers are overworked, on caffeine or other drugs, and running behind schedule. This is extremely problematic when these drivers are driving vehicles that weigh many tons and collide with smaller vehicles. When this happens it is typically the passengers of the smaller vehicle that suffer. If you or a loved one have been ran over by a truck, had a large truck hit you, or collide with your vehicle, it is important to obtain excellent legal representation from a Texas truck accident lawyer to protect you or your loved one's rights and to make sure that an investigation as to the cause of the collision in done correctly. Texas Truck Accident Lawyer Jason Coomer has years of litigation experience and the necessary knowledge to make sure those injured in automobile and truck accidents are fully compensated under the law. He has helped many people injured by negligent and drunk drivers and made sure that the families of those killed and seriously injured were compensated as well. 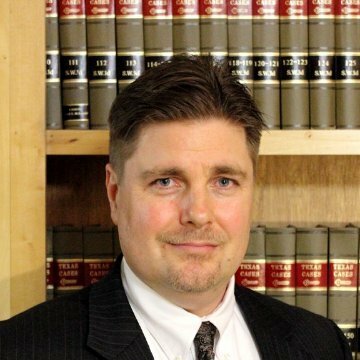 He prides himself on successfully battling large insurance and trucking companies to make sure they pay adequate compensation for damages caused by their drivers that through reckless, careless, or negligent driving have injured someone. He handles truck accident lawsuits and claims throughout Texas including Austin, San Antonio, Dallas, and Houston as well as works with other experienced fatal and catastrophic injury lawyers throughout the United States on large claims. Don't think that if you have suffered serious injuries in a truck collision or lost a loved one in a commercial vehicle accident that the insurance industry will take care of you or voluntarily pay you for all the medical bills, lost wages, pain & suffering, impairment, disfigurement, and other damages that you have suffered. They probably won't. In fact, the job of an insurance adjuster is to pay as little as possible on each claim they handle to save their employer money. In many situations an adjuster will offer low settlement amounts hoping that you will sign away your claim prior to knowing the full extent of your damages. For a free evaluation of your truck accident claim by an Austin Texas truck accident lawyer, please contact Texas truck accident attorney, Jason S. Coomer. Please include the date of the accident, location of accident, your name, injuries suffered, and a brief description of the accident.